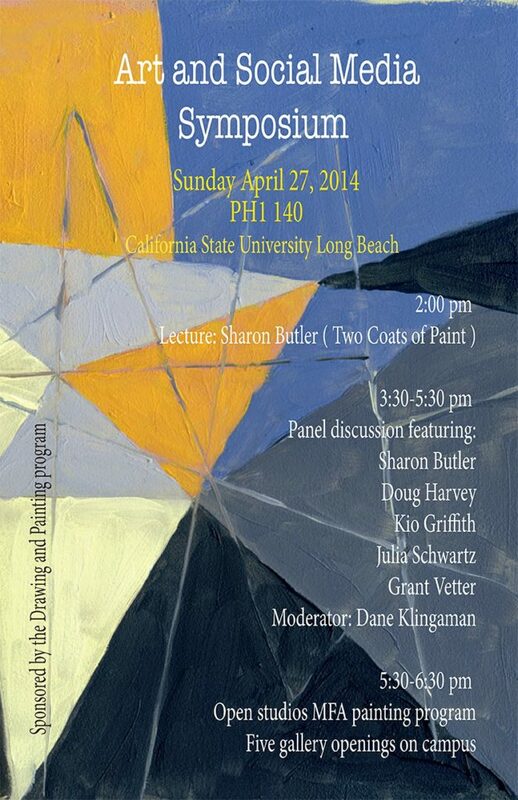 Please join us for an Art and Social Media Symposium organized by Marie Thibeault at California State University Long Beach, Sunday, April 27. I’ll give a lecture at 2pm, followed by a panel discussion featuring Julia Schwartz, Doug Harvey, Kio Griffith, Grant Vetter, and moderated by Dane Klingaman. The event, which also includes MFA Open Studios and five gallery openings across campus, is sponsored by the Painting and Drawing Program. Should be fun. as though the 24/7 nature of technology may be taking over their lives? when they might step away from the computer? If you are in LA, I hope to see you there.